In less than a year, the number of New York State residents receiving Truvada (tenofovir/emtricitabine) as pre-exposure prophylaxis (PrEP) prescriptions through Medicaid has nearly tripled. According to Dan O’Connell, director of the AIDS Institute at the New York State Department of Health, from July 2013 through June 2014, 305 HIV-negative New Yorkers were taking Truvada to prevent infection with the virus. By the close of February 2015, that figure had jumped 272 percent to 832 people. These figures do not include those receiving PrEP through private insurance or through medical studies, so they are not an accurate reflection of the total number of New Yorkers on Truvada to prevent HIV. However, the data can act as a barometer for the rate of increase in PrEP’s use in the state. POZ recently asked various medical providers around the country for their total number of current PrEP users. In New York City, the Spencer Cox Center for Health had 200 people on PrEP; the single practice of Howard Grossman, MD, had 145; and the Callen-Lorde Community Health Center had 395. Researchers at the University of California, San Francisco, recently estimated that about 4,000 people in San Francisco are taking PrEP. 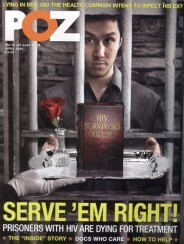 The lion’s share of these individuals are apparently at high risk for HIV, which indicates that Truvada use among the local population may succeed in taking a significant bite out of the rate of new cases of the virus. The New York State and San Francisco figures call into question the reliability of Gilead Sciences’ periodic estimates of the number of Americans taking PrEP. The pharmaceutical company’s figures are limited: They are drawn from only 55 percent of U.S. pharmacies, and do not account for prescriptions that are received through Medicaid or taken by people who are on PrEP as part of a research project. Also, the data is reported after a long lag time, making it instantly out of date, considering PrEP’s apparent fast-paced rate of increase in use. Gilead’s most recent estimate, released in November 2014, said that 3,253 Americans had started PrEP through March of that year. 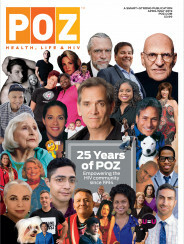 To read a POZ/AIDSmeds recent feature article about PrEP, click here.